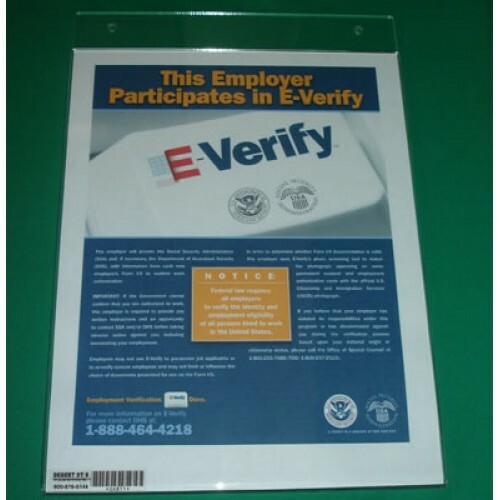 This E-Verify Sign Holder holds an 8½" x 11" poster to inform your future employees that you will verify employment eligibility and the validity of their Social Security numbers. 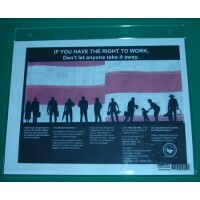 Please select language on the right when ordering. 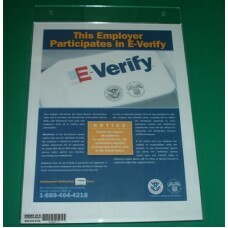 SHEV-1 This E-Verify sign holder fits inside the pocket of the WEC-1 Employment Center. It holds a..